Published Jun 9, 2014 by Cisco Press. Part of the LiveLessons series. With mobility being the large driver for BYOD and these mobile devices often being the most lost or stolen, we need to ensure a mechanism to quickly mitigate any unauthorized access to the corporate network. 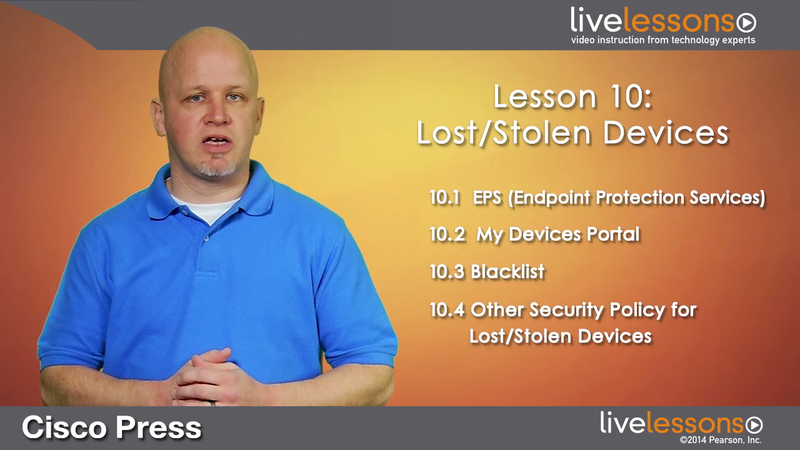 In this lesson, we will configure several options for disabling the network access to any lost or stolen deviceeither driven by the device owner or the administrators of the network.